Apple today announced tvOS 12, which will introduce support for Dolby Atmos surround sound technology in the Apple TV 4K. When the update appears later in the year, iTunes will automatically update compatible movies with Dolby Atmos support for free. With the addition of Dolby Atmos, Apple said that this makes the Apple TV 4K the only streaming box with support for both 4K and Atmos. Additionally, iTunes will become the "home to the largest collection of Dolby Atmos-supported movies anywhere" after the update. 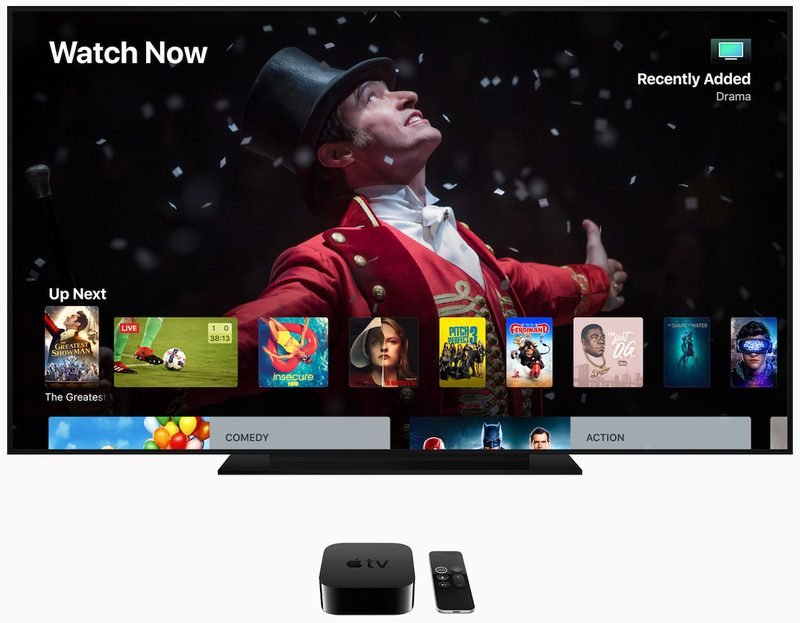 Apple also reiterated the Apple TV as a game-changer for the television market, announcing that cable company Charter Communications will begin offering the Apple TV 4K to its customers this year (in a similar vein to promotions from DirecTV Now). Secondly, customers will have access to live channels and thousands of on-demand programs through a new Spectrum TV app on tvOS and iOS. Apple is upgrading Single sign-on for Apple TV and iOS with "zero sign-on," wherein the Apple TV detects the user's broadband network and automatically signs them in to "all the supported apps they receive through their subscription - no typing required." Zero sign-on support will launch with Charter in 2018 and roll out to other providers "over time." The company is also upgrading Aerial screensavers in tvOS 12 with new Earth footage captured in collaboration with the International Space Station National Lab and the Center for the Advancement of Science in Space. The screensavers have been taken by NASA astronauts and filmed in 4K HDR, and all Apple TV Aerial screensavers will now be more interactive with location information and swipe-to-change features through the Siri Remote. - With iOS 12, users can securely AutoFill passwords from iPhone and iPad to Apple TV to easily sign in to Apple TV apps. - The Apple TV Remote will be automatically added to Control Center on iPhone or iPad for Apple TV users, giving users quick access to Apple TV controls. - Home control systems like Control4, Crestron and Savant can be used to control Apple TV, including using Siri for voice search and control. tvOS 12 will launch for all users as a free software update for the 4th generation Apple TV and Apple TV 4K in fall 2018. Probably the best news today! BTW, the claim that ATV will be the only streaming box with Atmos and HDR is not true, the FireTV does it now. One would have to rewatch the Keynote to be sure, but I believe they said it is the only one to be certified Dolby Vision and Dolby Atmos. The FireTV is certified for HDR 10, but not Dolby Vison. But my memory could be wrong. Exactly what I was thinking and the presenter presented well. Unlike some of the others. Netflix already has some Atmos offerings though not many. VUDU also offers Atmos titles in their rentals. I think I saw something on Amazon that had Atmos but can't remember for sure. Like you, I wish there were more offerings. I don't know what Sonos is going to announce, but Samsung already has a 5.1.4 Atmos soundbar and will be releasing their new 7.1.4 Atmos soundbar setup in the next few days. They specifically said Dolby Vision HDR because the vast majority of STB’s do not support Dolby Vision (because it costs extra to license), only HDR10 (which is free). Apple today announced that the Apple TV 4K will gain support for Dolby Atmos surround sound technology. When the update appears later in the year, iTunes will automatically update compatible movies with Dolby Atmos support for free. With the addition of Dolby Atmos, Apple said that this makes the Apple TV 4K the only streaming box with support for both 4K and Atmos. Other features coming to tVOS include "Zero Sign-on," so that if you're on your TV provider's broadband network, Apple will securely unlock all apps connected to a subscription service. For the Apple TV's Aerial screensavers, you'll be able to tap to see descriptions of where each video was shot, and can swipe between screensavers. 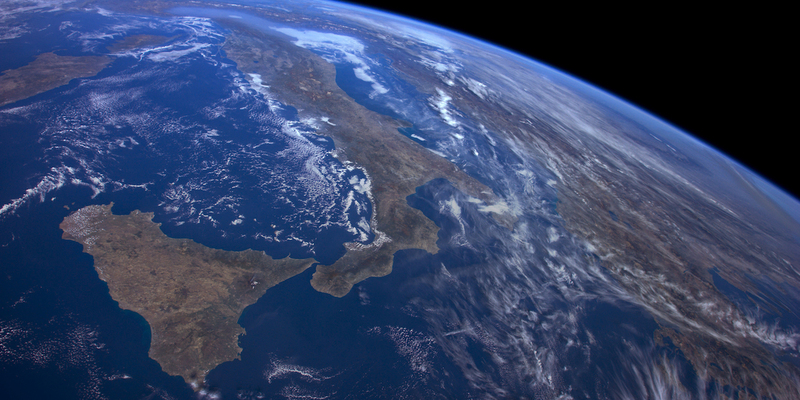 There will also be new Aerials of Earth taken from the International Space Station. That zero sign on is ********. It's not going to work just like single sign on currently doesn't work. The problem is the providers also need to support that feature and they don't. When I try single sign in with directv now, it just gives you an error. And even when it used to work before, you still had to individually sign in the each individual app. Apple's pretending like everything is Kumbaya, when in reality none of it actually ever worked. Well damn, now I've got an excuse to buy some Klipsch Atmos speakers. All of FOX’s new 4K releases use DTSX. So I wonder if Apple will convert to ATMOS? Or only output DD+ for those? Kind of odd they finally add ATMOS but leave out DTSX. Dolby Atmos is great and all. But until services like Netflix, Amazon Prime etc starts offering TV-shows and Movies with Dolby Atmos (they are mostly offering Dolby Stereo and Dolby Digital Plus) I won't really benefit anytime soon. Sonos is also going to announce something new for the living room in two days and I'm eager to see if that might be a new sound bar solution offering Dolby Atmos. It would be the perfect timing. It's a streaming-box. What exactly were you expecting?